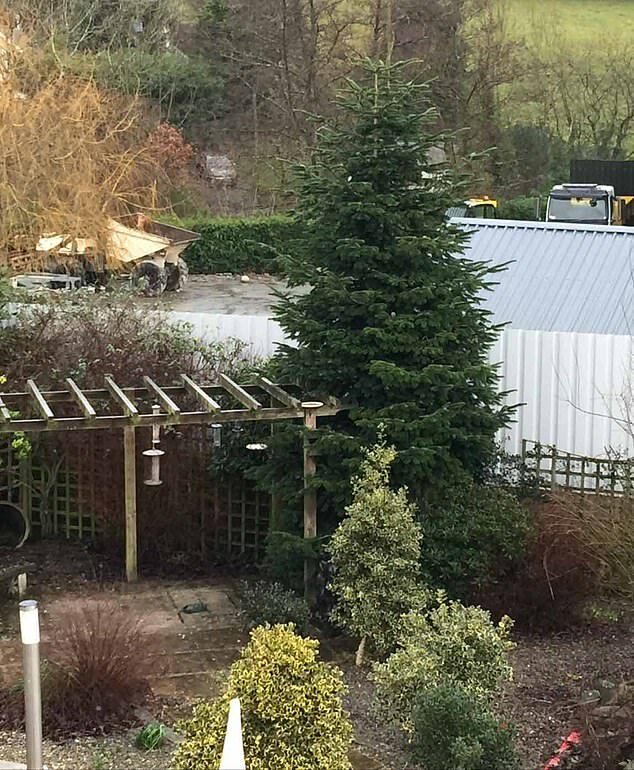 A woman has told how her neighbours built a garden fence 'as high as the Berlin Wall' as part of a long-running feud which is now so bitter the police have been called several times. 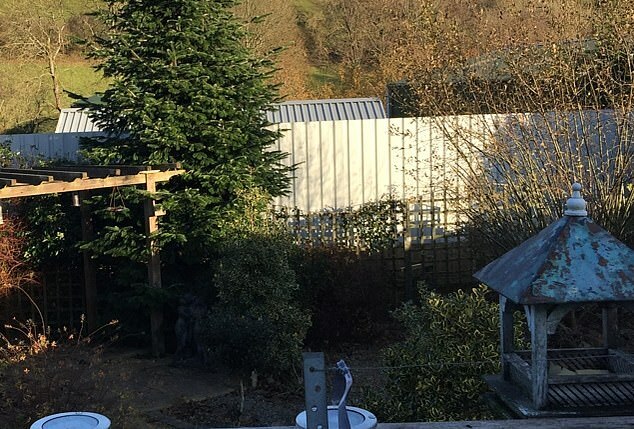 Tina Keogh, 59, said she and her partner came back from holiday to discover a 'monstrous' corrugated iron fence had been installed along the perimeter of their rural Welsh home while they were away. 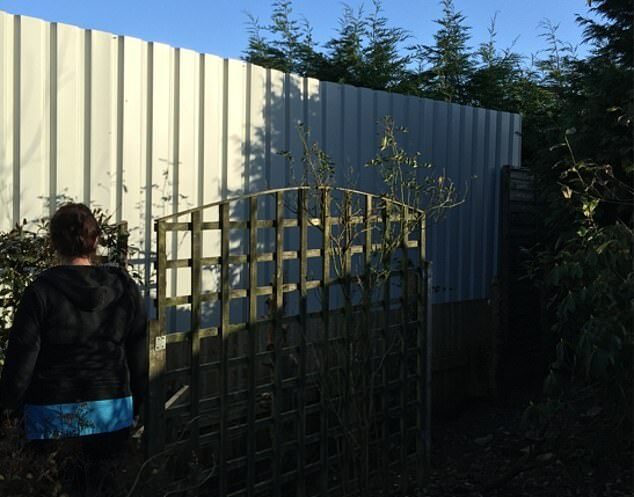 'It's like having the Berlin Wall running alongside your garden,' she said. 'We were living her quite peacefully until the fence was put up while we were away on holiday last summer,' she said. 'It's a horrible eyesore; they are not even fencing panels but the leftovers of a building our neighbours demolished. She said: 'We've been called dykes and all sorts of horrible names, some too disgusting to repeat. 'A huge rock was deposited at the entrance to our driveway with a phallic symbol drawn on it. 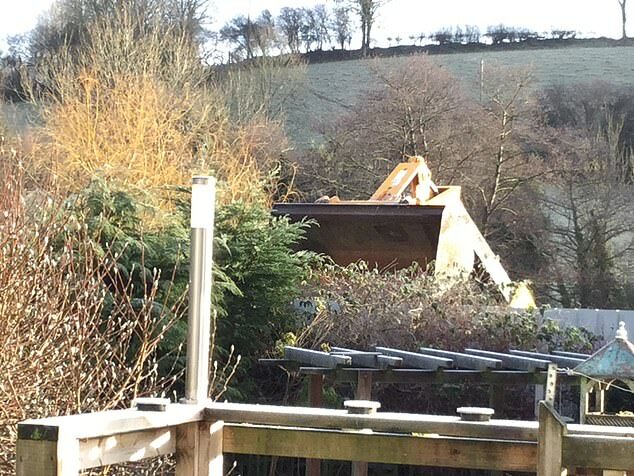 They admit police are 'regularly' called to sort out the squabble over the structure which separates the couple's garden from Mr Harries's yard where he keeps diggers and plant hire equipment. 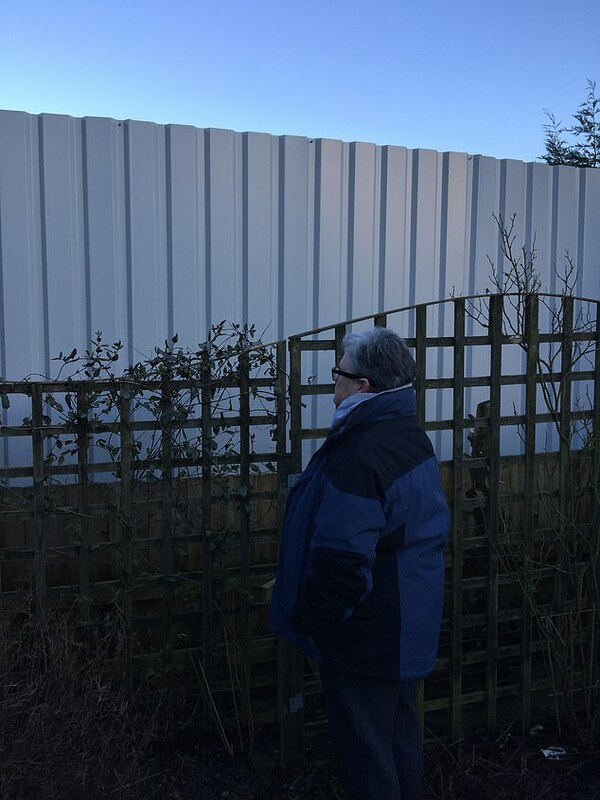 Both couples have CCTV cameras trained on their neighbours' properties over the fence which is painted green on the Harries's side and an industrial grey on Ms Keogh's side. She said: 'It's ruined the garden and spoils the time we spend out there with the dogs. 'We've got climbing plants, honeysuckle and other shrubs but it's ruined by this dirty great fence. 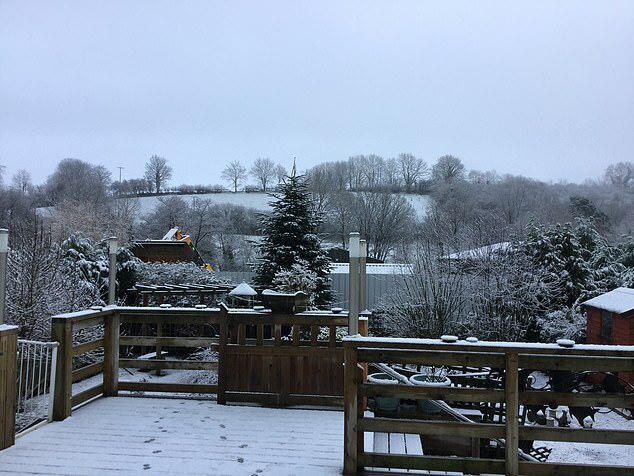 Ms Keogh and her partner, who doesn't want to be named due to her former job, have lived in the house near Llandysul for 15 years. 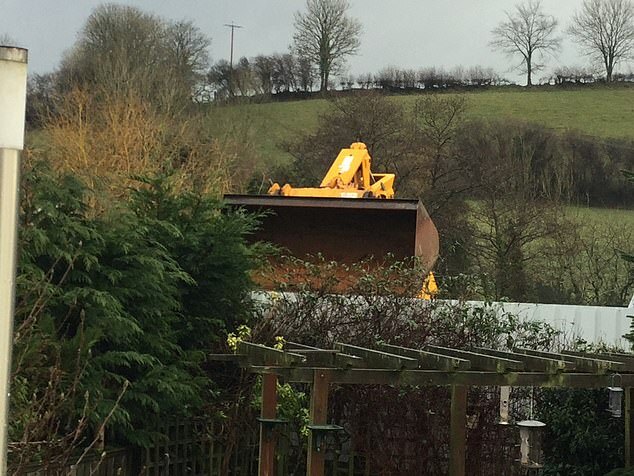 Mrs Harries claims the couple have been trying to close down her husband's plant hire business ever since they moved in. Mrs Harries said: 'It's appalling they are using their sexuality to try to get their own way. 'We are not homophobic - many people have a gay person in their family these days, as do we. Mrs Harries said she and her husband have endured 'horrendous behaviour' including name calling and false allegations. She said: 'They set out to destroy my husband because of his business but we have a license to operate from here. 'They are despicable human beings and have fallen out with the whole village - 99 per cent of the people here are backing us. Mrs Harries said her husband was a 'laid back' man who hasn't spoken to his neighbours for years and keeps out of the argument. 'His view is to let them get on with it and they will blow themselves out,' she said. 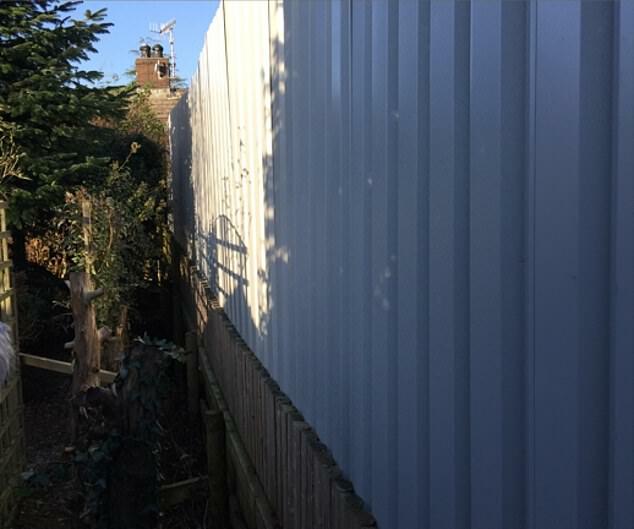 A spokesman said: 'There is a current planning application for the fence. 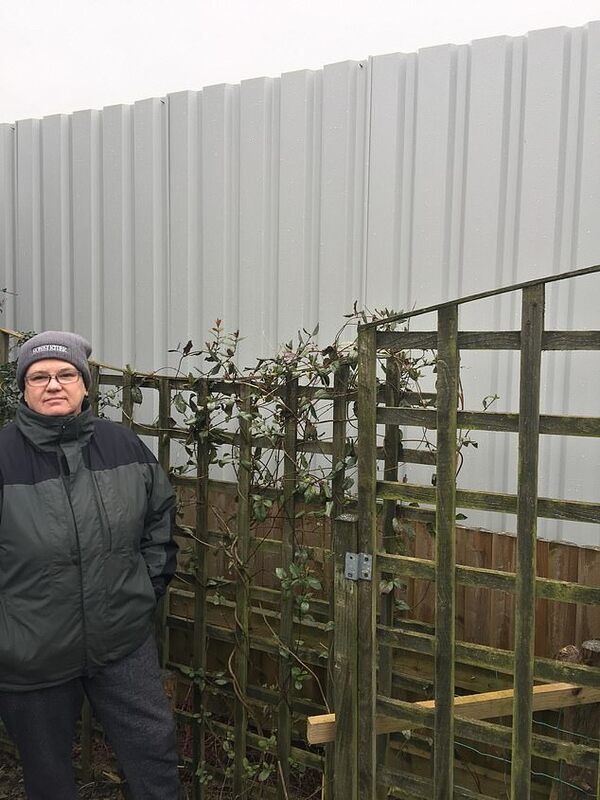 'The application is in response to an investigation into complaints about the erection of a fence. This is what happens when you cram any living thing into small spaces. It does not ever work in nature.